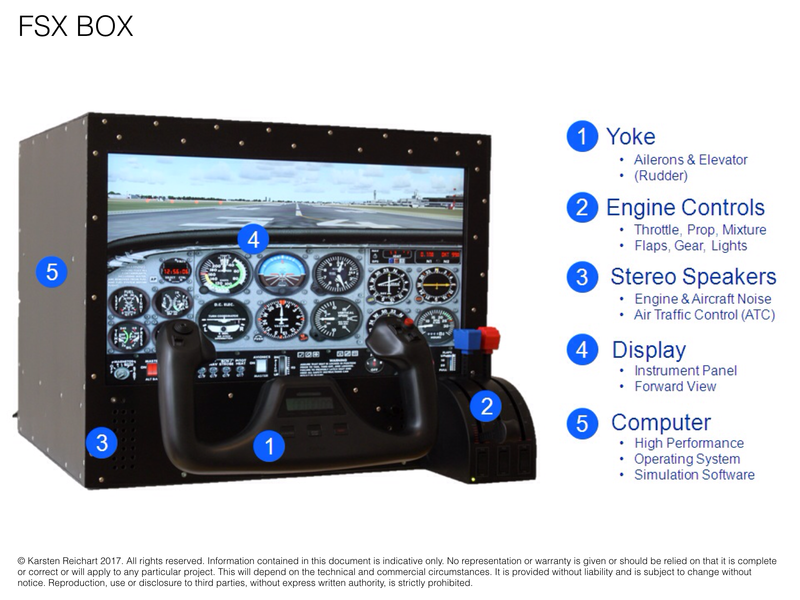 FSX BOX is the portable and fully integrated Flight Simulator in a box. Ready for instant 'plug & fly' experience. Throttle, Prop and Mixture – or short TPM – are typically three levers in an aircaft cockpit to manage the … Continue reading Throttle, Prop or Mixture? Hello and welcome to FSX BOX! In this post I provide background information about the site and it’s purpose. Why … Continue reading Welcome to FSX BOX!